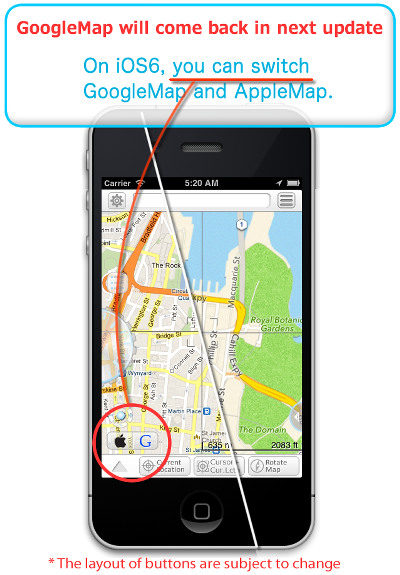 In next update(ver1.8), GoogleMap will come back on iOS6. Ver1.8 is expected to be released on or around 3rd Oct.
- You can check StreetView on iOS6! - Shows Map & StreetView & Pegman. - Small app size. App launch faster. In previously released "Google MyMaps+", the StreetView function was particularly popular. StreetViewer was specialized in it. This is the best app when you lost way and want to check the map immediately. - Change layout for left/right hand. StreetViewer correspond to new AppleMap on iOS6.